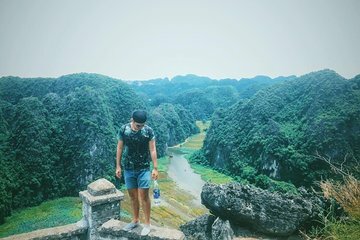 Shun inflexible group tours and explore Ninh Binh’s karst landscapes in comfort with a private car and guide on this door-to-door day trip. Shop for handicrafts, inhale sweeping views from Mua Cave, then sample Ninh Binh specialties and enjoy a cooking class. If you’d like a fishing trip or a cycle ride, just ask. Finally, cruise down the river from Tam Coc and explore three caves by canoe.